VietNamNet Bridge - According to travel agencies, the Ho Chi Minh statue on Nguyen Hue Street, the Notre Dame Cathedral, and the Ben Thanh Market ... are among the top attractions for international tourists in HCM City. Ho Chi Minh statue on Nguyen Hue Street, District 1 was inaugurated in May 2015. The statue is made of copper with a height of 7.2 m, and cost VND7 billion ($330,000). 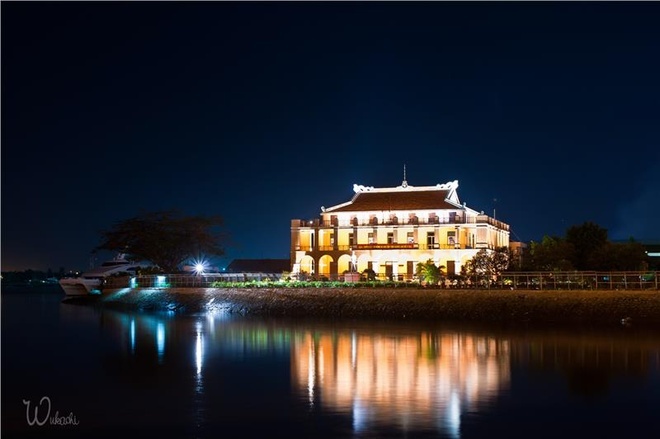 Bach Dang Wharf in District 1 is a historical site where Nguyen Tat Thanh (the name of President Ho Chi Minh at his young age) left Vietnam to seek ways to save the country. HCM City Opera House in District 1 overlooks Lam Son Square and Dong Khoi Street. The building built in 1898 has French architecture. Saigon Central Post Office in District 1 was built by the French from 1886 to 1891, designed by French architect Villedieu and his assistant Foulhoux. This is the work with European-Asian style. Notre Dame Cathedral in District 1 was built in 1877, with Roman and Gothic styles. Independence Palace in District 1 or formerly Norodom Palace is today called Reunification Palace or Reunification Hall, an architectural work of about 22 hectares. 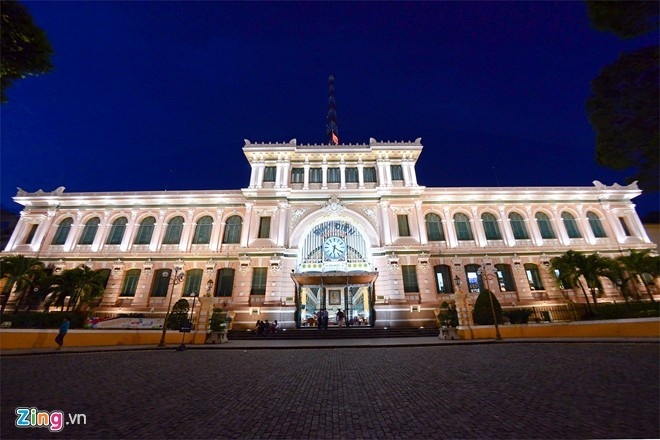 The Palace isvranked as a special national relic. 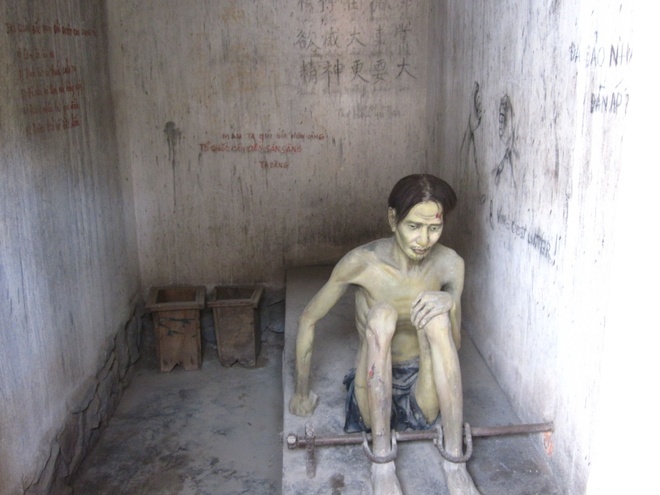 The War Remnants Museum in District 3 specializes in the research, collection, storage, preservation and exhibition of documents, photographs and exhibits about crimes and consequences of wars in Vietnam. The museum currently holds over 20,000 documents, artifacts and films. Ben Thanh Market in District 1 is one of the largest markets in the city. 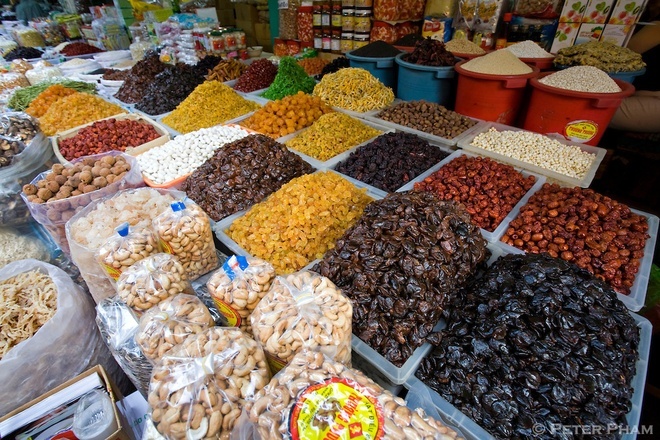 The market is seen as the city’s symbol. Many tourists come here to visit and buy souvenirs. Binh Tay Market in District 5, also known as Lon Moi Market, was built on an area of over 17,000 m2, with ancient oriental architecture. The market currently has over 2,300 stalls selling more than 30 categories of products. Cu Chi Tunnels, about 70 km from the center of Ho Chi Minh City is a structure of over 200 km long. This unique tunnel system has many branches as cobwebs. Phu My Hung Urban Area is a large urban area in District 7, which is designed with luxury suites, villas, apartments and tree-lined roads ... It is compared to a Singapore in the heart of HCM City. 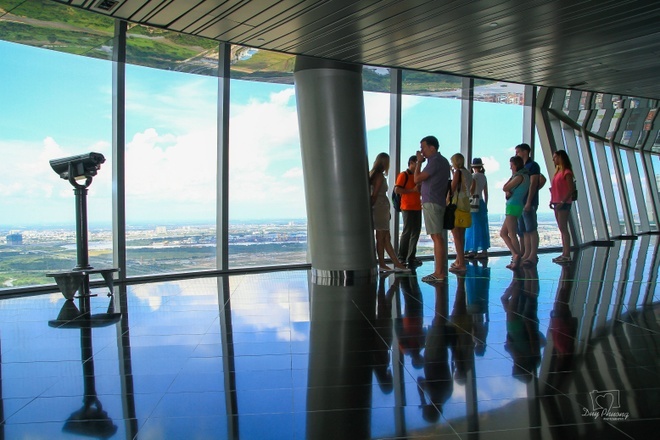 Sky Deck is the name of the 180 m high observatory located on the 49th floor of Bitexco Tower, the highest building in HCM City. The observatory is equipped with six long-range telescopes, capable of rotating 360 degrees horizontally and 50 degrees up and down. The fare is VND200,000 ($9) per person.